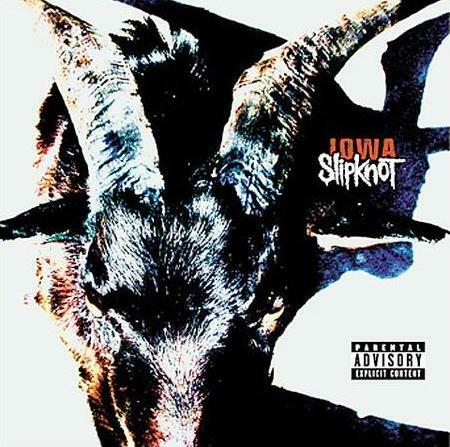 Slipknot was probably the most genuine band of the nu metal wave. They appeared by their self-titled album with far more aggressive and intense music compared to the others in the subgenre, but by "Iowa" they went even further. 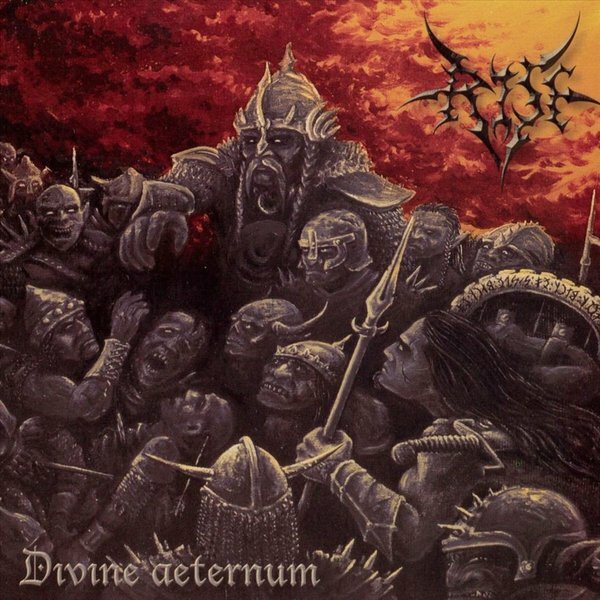 Rise formed in the early '90s as a death metal band with more Hungarian references than it would be usual. 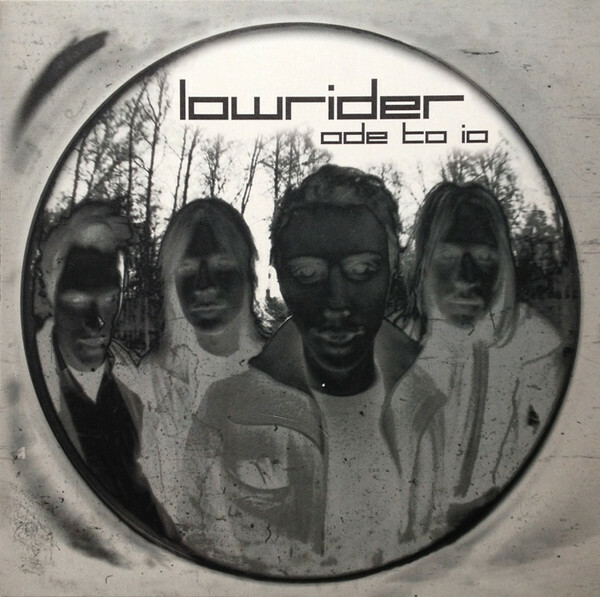 These appearing in occasional medieval features, on the album arts and even in the language sometimes, thanks to their frontman with Hungarian background. To give some historical/mythical taste to anti-Christian and satanic concept is definitely a genuine and uncommon perspective, but somehow it fits well. Their early raw style went through a great progression during the years. 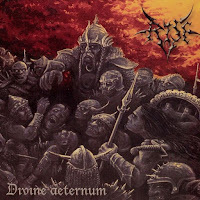 On "Divine Aeternum" a musically mature and well experienced band could be heard. Their style changed a bit too as they involved a constant symphonic background that leads through the album. This primped up their wild themes and gave them a theatrical main impression. Instead of the contrast of the symphonies and the death metal themes, they focused on to create balance, so they had to involve more melodies into their themes. They accomplished their imaginations creatively, "Divine Aeternum" became far more diverse than their previous albums. This also resulted that their music had to lose from it's unfriendly level, but there's still enough aggressiveness left to not let the listener to daydream about endless flowery fields, but blood-soaked battlefields instead. This album was kind of extraordinary, because similar experiments were just about to appear that time in the metal scene. Deeds of Flesh was one of the first bands who followed the technical brutal death metal style of Suffocation. 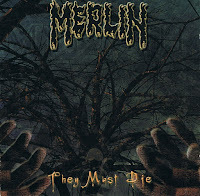 Their influence resulted the appearence of tons of technical/brutal death bands lately. 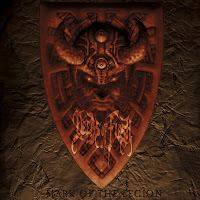 Deeds of Flesh was also one of the best of these freshly inspired bands. It might be difficult to select any specific album from their discography, because they were also famous about to keep producing high quality records. Extreme speed and intensity are their returning main features. The common sudden theme changes doesn't seem causeless, because the constant intense hammering functions like a frame that pulls everything together. So even if the main view seems chaotic, it's exactly the opposite: it's a well composed musical structure that demands high accuracy and discipline to keep. This makes their style quite diverse and unified the same time. The fact that it's all about to illustrate the most exaggerated depths of darkness and insanity is another thing. Very deep growls telling apocalyptic tales about massacre and torment with the assistance of animalistic screams. 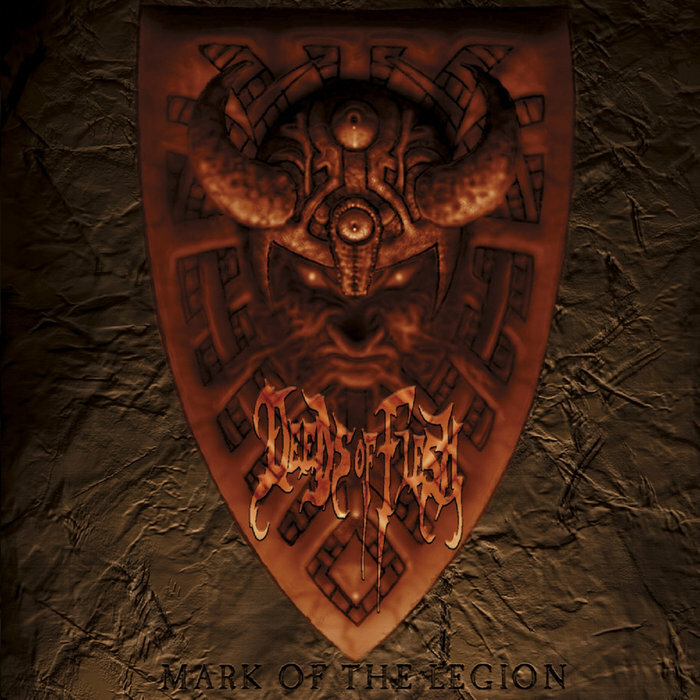 Like almost all Deeds of Flesh albums, the "Mark of the Legion" is also a technical/brutal death masterpiece. Probably many people thought that Slayer will be not able to reach the level of it's old and cultic period. But they've returned in 2001 with a record that counts extremely aggressive and heavy even if the band wasn't known about the softness of it's music. Though they of course couldn't exceed the themes they wrote in the '80s, "God Hates Us All" sounded quite impressive. Even the coincidence of the release date (9/11) and the secular events gave an authentic reference to the album title. The album is definitely not one of their fastest ones, but the clear and heavy sound compensed the lack of consant intense hammering. The unusually common blast beats also increased the heavy impression. Unlike Mr. Lombardo who was more into speed, Mr. Paul Bostaph liked to always change a bit in his drum play to make it more diverse. Anti-Christian topics were always returning features in Slayer lyrics, but now they had more focus on them and sounded more exaggerated. 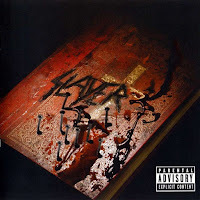 On the side of blast beats the very frequent appearence of the f-word was also something unusual about other Slayer albums, so it seems like the band wanted to emphatically show their aggression all-round. "God Hates Us All" is outrageous since the beginning, it's like an insane rampage that transfers the old school aggressiveness of the band into modern sound. 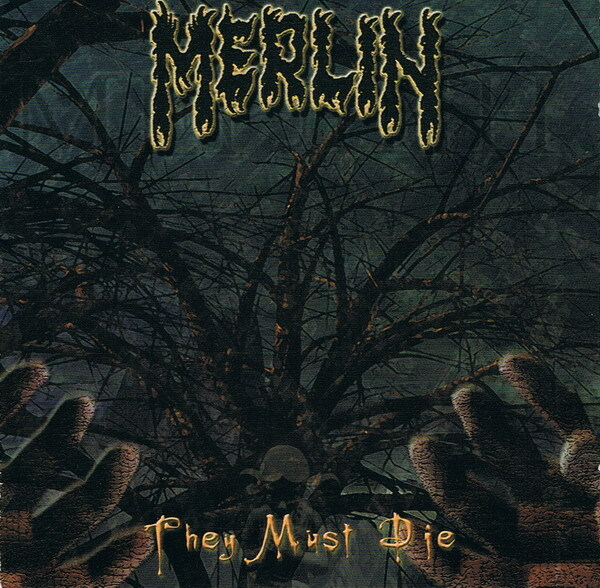 The Russian death metal band Merlin formed in the early '90s, but it took for a while until they were able to record their debut album. The timing probably had a role why their music included both the old school and modern features of death metal the same timre. Their first album "Deathkoteque" sounded a bit chaotic and experimental, like if they were unsure how to mix the two styles. On "They Musy Die" things sounded more balanced. The measure of old school thrashing parts almost disappeared, the moden way of brutality had exclusive role, and the band returned with a very strong and heavy sound. The album has characteristic and catchy themes frequently interrupted by intense hammering. By the lyrics they approached gory and death related topics from a different and uncommon perspective, that is instead of listing or piling up the various events of horror, focused on their bare sickness. Very stunning and brutal female growls guiding the listener into the eastern depths freezing death. This was another reason why the band counted modern and extraordinary already at the beginning, and not only in Russia. Great quality and highly recommended material for the lovers of extreme aggression! Ufomammut debuted as an instrumental project with various musical influences, such as psychedelic rock, stoner rock, sludge and doom metal. 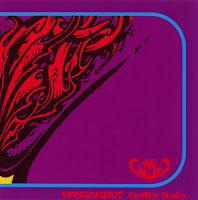 Since these are related styles, the chance to create something great by mixing them is quite high, and that's exactly what Ufomammut did. There is a strong psychedelic and mesmerizing atmosphere that haunts through the album and takes the main role frequently from the distorted sludge/doom heaviness by the assistance of catchy stoner themes. They really did their best to try all possibilites and to put out the maximum from this enjoyable mix. This is definitely a new, modern level of stoner/doom influenced by Electric Wizard and Sleep. There are some vocal sounds too even though it's basicly and instrumental album, but these sounding completely blurred and became the part of the psychedelic atmosphere. Like in the case of a concept album, the message lies in the intensiveness of the music, the song titles are there just to give a hint. Unlike at other arty bands who lately appeared in this style, this message lacks the forced intellectual background, it's only about impressions. That's partly correct about psychedelic/stoner rock too in general, Ufomammut only introduced another possible way of reinterpretation. 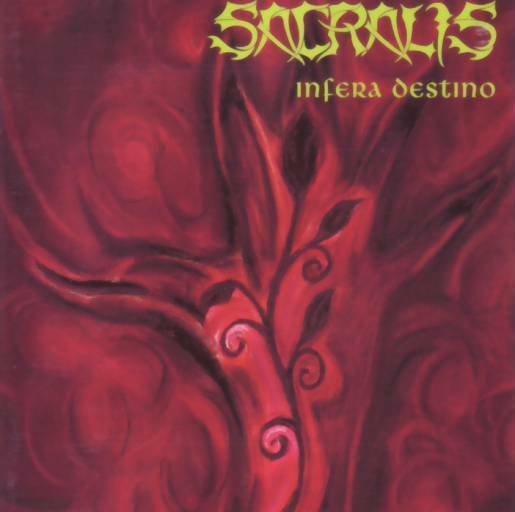 With a soft and atmospheric intro starts "Infera Destino", the one and only full-lenght album of Sacralis, a German female death band. But the following song may cast the listener straight into the most putrid pit of death metal. If the sudden change didn't cause any trauma, it's able to lead to an excellent death metal material. 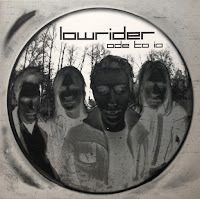 On their previous EP "bortaS" the introducing atmosphere followed the music in the background and almost got lost because of the noisy and aggresive sound. Only had a role to confuse the listener, because it simply didn't fit to the music to create the desired contrast. Fortunately they avoided this little problem here, and their musical skills had some development too. The album has very enjoyable dirty sound, and lies somewhere between old school and doom influenced death metal. They operated mainly with mid speed, common slow downs and occasional hammerings, and their riffings are often including the heaviness and strong effect of death/doom. The general effect is still very intense and the common speed changes increasing this intensiveness. The vocal style is epic and inhuman, lies somewhere between growling and black metal styled vocals. 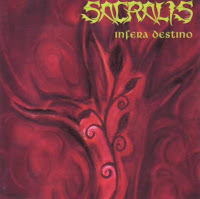 The main feeling is very dark and unfriendly, but "Infera Destino" has plenty of exciting surprises by it's simple and diversive themes, and extented song lenghts for the lovers of musickness. It was definitely the best death metal record of the year and a promising start for the new millenia. Who said that electric guitars and drums are necessary to play heavy metal? Apocalyptica proved that they aren't, 4 cellos would do the thing too. The band started with covering Metallica songs by cellos and they gained wide attention soon in the age when the main audience seemed like to starve for something new and genuine more than ever. The appearence of symphonic elements in metal wasn't completely new, it's enough to think about some progressive metal bands, to symphonic black metal or to genuine experiments like Celetsial Season. But Apocalypctica made it without involving any ordinary instuments, so their style remained neoclassical, only the way how they played was a reference to the intense, raw features metal. It took for a while until they introduced their own songs like if they were aware to step further from doing covers, though even on "Inquisition Symphony" the self-writen songs were the best. They built on the contrast of classical symphonic melodies and the rough sawing-like noise, that probably nobody expected before to hear by a bowed instrument. Their music is still more relaxing than wild in general, so even if it's able to make other classical musicians crossing themselves, it didn't became the favorite of the moshpits. 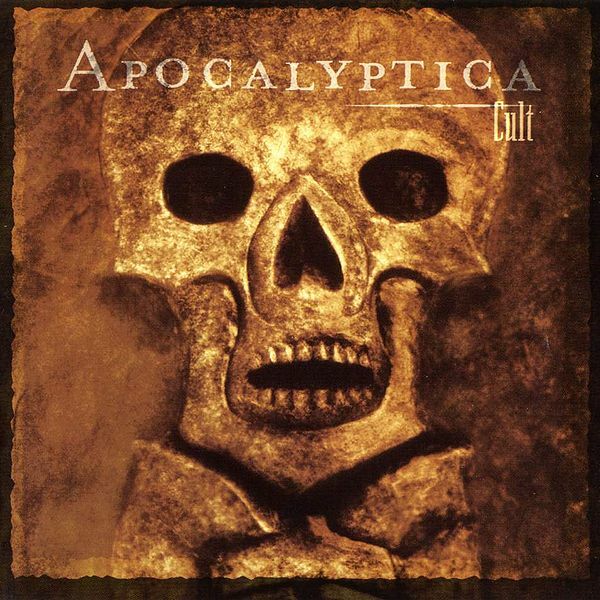 Still Apocalyptica became one of the most successful bands of the early '00s by their uncommon imaginations. Unfortunately left behind this path slowly by involvolving ordinary instruments and various vocalists too. Even if Carcass changed style and disappeared lately, their heritage of goregrind didn't, and always had impassioned followers. One of them was Gorerotted, and even since the first moments of listening the influence of Carcass is impossible not to notice. "Mutilated in Minutes" had more death metal features than ordinary goregrind have, and the band tried to experiment with melodies too a bit. So not the noise and complete insanity was in main focus, it's kind of an old school album for that, but still a very intense one. Their concept and lyrics are way more simpler (maybe they didn't read much pathological literature), only piling up various splatter and gory topics. So even though probably "Necroticism" was their favorite by Carcass, they still sympathized with old school grindcore and embedded into their style, only replaced the punk influenced simple parts with death metal riffings. But still enough classical references left there to cause enjoyanle moments for the oldest fans of the style. In the age of newly uprising mainstream metal styles Gorerotted sounded quite extraordinary and reminded to the sickest period of metal music.